Suggests Linotype is a trusted authority. You can apply this trust-building strategy to your web and email content. Connect with an expert or up-and-comer in your field. Ask her to offer recommendations on a podcast, a conference, a book, a recording, an artist, a national study she finds useful. Then ask her to explain the value she derives from it. Build a post on your website. Then send an email to your fanbase, encouraging your fans to visit your site and compare notes with the expert. This isn’t about selling something you have. (Although if your expert’s recommendations offer a natural tie, make the offer!) At the heart of this content, your reader should find information he can use to work smarter, live better, help others. That’s content worth reading. Content worth sharing. That’s content that builds trust in your organization as a resource. 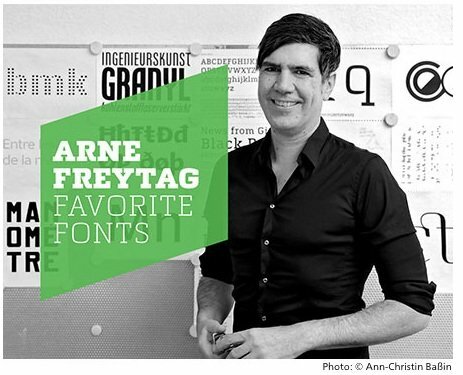 UPDATED MARCH 2 2017: Linotype.com offers another “Favorite Fonts” feature, this time with designer Brigitte Schuster. I love learning about the history of each font selected! Check it out.